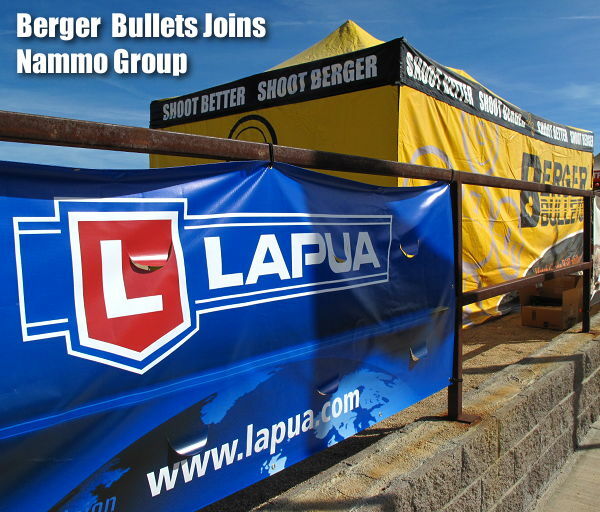 Berger Bullets is becoming part of the Nammo Group, joining Lapua, Vihtavuori, and SK Ammo. This is big news, as it combines one of America’s leading bullet-makers with a major global enterprise that produces superior loaded ammunition, powder, bullets, and brass. This is potentially a boon for shooters as Nammo’s resources will help Berger increase production capacity, expand its line of products (including loaded ammunition), develop new bullet types, and invest in new, advanced machinery that should increase output and efficiency. In addition, we do expect to see new lines of loaded ammo combining Lapua brass with Berger match bullets. That combo will be tough to beat. Overall, this is a very positive development for Berger which will be able to call upon Nammo’s engineering expertise and advanced production technologies. It’s also a great thing for shooters, who can expect improved availability of the most popular Berger projectiles. As part of the acquisition of Berger Bullets by the Nammo Group, Berger plans to relocate its operations, moving its factory from the current Fullerton, California location. Berger will definitely be leaving California in the future. In this exclusive AccurateShooter.com interview, Berger President Eric Stecker talks about Nammo’s acquisition of Berger Bullets and explains how that will bring about important positive changes, including increased production capability. 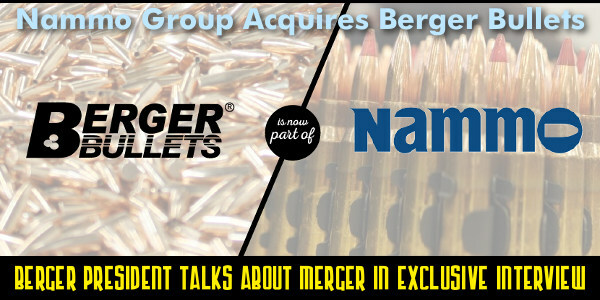 We take great pride and tremendous pleasure in announcing that Berger Bullets has joined forces with the Nammo Group. This Norwegian/Finnish corporation control many premium brands including Lapua (Brass, Bullets, Ammo), Vihtavuori Powder, and SK Rimfire Ammunition. The joining of Berger Bullets with these world renowned, premium brands ushers in a new era of quality, performance and product availability for the discerning shooter. Today, under the Nammo Group ownership, we join three other companies that share a strong passion and commitment to precision shooting performance. We are very excited to join forces with these premium quality brands, which are committed to precision and quality. The Nammo Group brings to Berger Bullets a level of support that is rivaled by few and bested by none. Nammo will support us in many areas including production capability expansion, advanced engineering, innovative product development, and the opportunity to share technology between all of these top quality brands. Our immediate goal is to significantly improve the availability of Berger products. Throughout our history the demand for Berger Bullets has exceeded our capacity even as we’ve grown our output capabilities numerous multiples over the last few decades. Our first obligation to our customers is to improve the availability while we remain committed to our highest level of quality in the industry. Much of what has made Berger Bullets successful will remain unchanged. Bryan Litz is developing more great bullets for Berger and our technicians will still be answering your emails and calls. Our website will remain at www.BergerBullets.com and all methods of contacts will remain the same for now. As we run across any changes, we’ll make sure we keep you updated on our website and through emails. So please, keep your information current on your email subscription and we promise to keep you posted. The Nammo Group, www.Nammo.com, supplies high performance products to the aerospace & defense industry. Its core businesses are military and commercial ammunition; shoulder-fired systems; rocket motors; and demilitarization services. Nammo has 2,100 employees located in 12 countries. 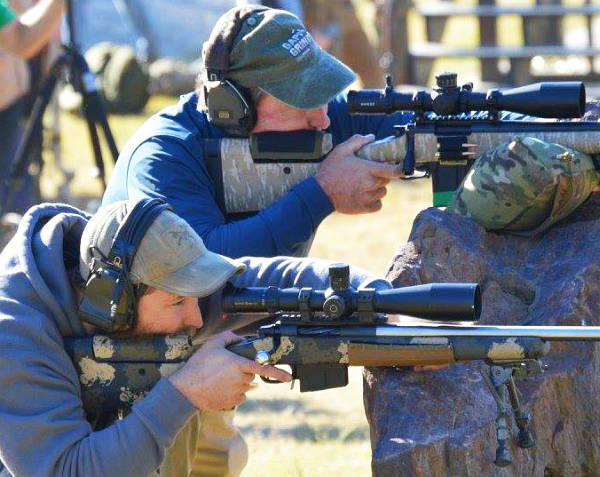 Share the post "Berger Bullets Joins Nammo Group — How This Benefits Shooters"
We are happy to announce the addition of the 6.5 Creedmoor case to the Lapua line! Despite a relatively short time on the marketplace, the 6.5 Creedmoor has made a tremendous splash in the field, rapidly becoming one of the most requested cases we hear about from shooters. Lapua’s 6.5 Creedmoor is designed to function in a short action, which is also a plus for hunters, vitally concerned with the rifle’s weight and compactness. In fact, many of the same features which make for a successful competition cartridge, translate nicely to the hunting fields as well. For most species of mid-size game such as deer or boar, the Creedmoor will prove to be a deadly performer. And while the selection of high grade Match bullets in the 6.5 bore size is tremendous, there’s no shortage of exceptionally good hunting bullets either. The 6.5s as a group have always been known as excellent performers on game. We’ve also incorporated our smaller-diameter flash hole (1.5mm, rather than the industry-standard 2.0mm), which has proven to provide enhanced accuracy, and is used in a number of our other accuracy-oriented cases. In this respect, the new 6.5 Creedmoor joins the ranks of our other dedicated accuracy cartridges such as the .220 Russian (6mm PPC), the 6mmBR Norma, the 6.5×47 Lapua, and the .308 Win Palma cases. And naturally, the new 6.5 Creedmoor will be made with our well-known Passion for Precision. Strictest control over the metallurgy, the forming and drawing processes, precise annealing all performed under the watchful eyes of our production experts. For you, the handloader, that means the durability for which our cases are famous, combined with consistency and long life. Already proven in competition, we predict that the 6.5 Creedmoor will be a force to be reckoned with for many years to come. 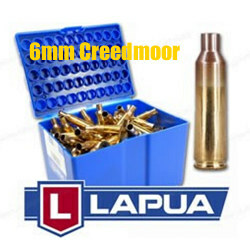 Our British friend Laurie Holland was excited about the new 6.5 Creedmoor brass from Lapua: “With this and Peterson Cartridge on the bandwagon, plus another U.S. brass maker… the Creedmoor’s momentum is becoming impressive.” Laurie observes: “A small primer Lapua-cased 6.5mm Creedmoor is in effect a 6.5X47 Lapua ‘Improved’!” That’s a pretty interesting concept indeed. Which makes us wonder if the .260 Remington has finally been fully eclipsed. With Lapua 6.5 Creedmoor brass you can probably get very, very close to .260 Rem performance in a much more efficient case. 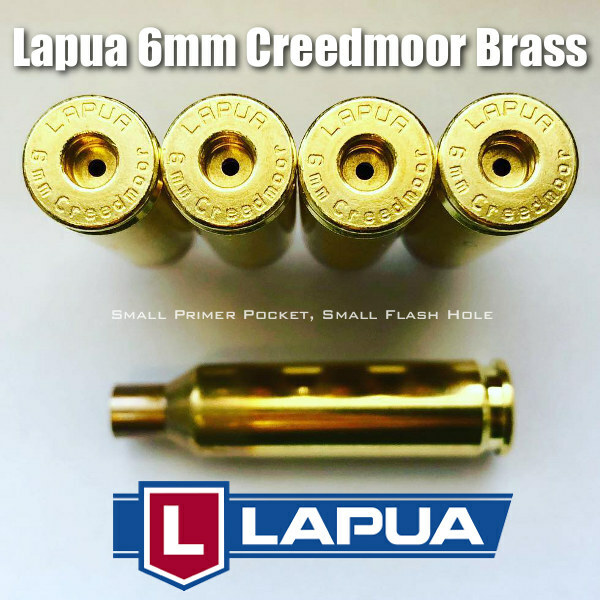 Share the post "Lapua Now Offers 6.5 Creedmoor Cartridge Brass"
I would like to emphasize a couple of things before you read on. The [acquisition of Berger Bullets by Nammo] CHANGES NOTHING. Production will remain in the same facility, by the same people, to the same quality. Berger Bullets will remain the highest-quality bullets on the market. What this merger does, is it gives these companies [the opportunity] to work together, to provide the highest-quality ammunition. Lapua is well known for its high-quality brass, VihtaVuori makes high-quality powder, and Berger makes high-quality bullets. When you put the three together, you have the possibility of unmatched, premium … factory ammunition. To be clear, this will not affect the quality or way that Berger bullets are produced. Q. What are Nammo’s plans concerning Berger Bullets? A. Nammo plans on operating Berger Bullets as a stand-alone brand with support from the Nammo Group in a number of areas. 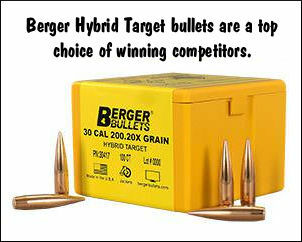 First, they would like to help Berger improve the availability of many of their bullets that are in high demand. Q. Are you going to eliminate any specific bullets? In other words, do they need to stock up! A. We have no immediate plans to discontinue any of our bullets. We will continue as a part of our normal business practice to discontinue bullets that have been replaced by a superior product or those that do not have a demand sufficient to warrant allocating time in our production schedule. This is just what we have always done as part of our process. Q. 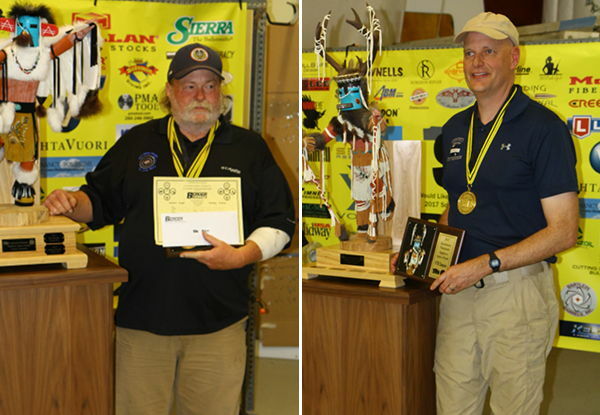 Is Bryan Litz still going to be the ballistician for Berger Bullets? A. Yes. 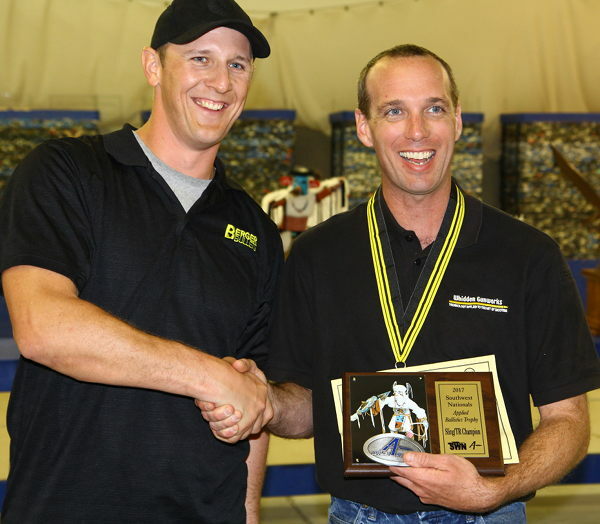 Bryan is an important part of the Berger Bullet team and our plans definitely include keeping Bryan on as our lead ballistician. Q. Is Eric Stecker going to remain in charge of Berger Bullets? Q. Are the same dealers going to carry Berger Bullets? A. Yes, we have no plans to change the way we distribute Berger Bullets to the shooting community. Q. Does this mean ABM Ammo will have direct access to components like powder and brass? Share the post "More Details on Berger Bullets Joining Nammo Group"
Click image for Online Reloading Data. CLICK HERE for Printable PDF Reloading Guide. 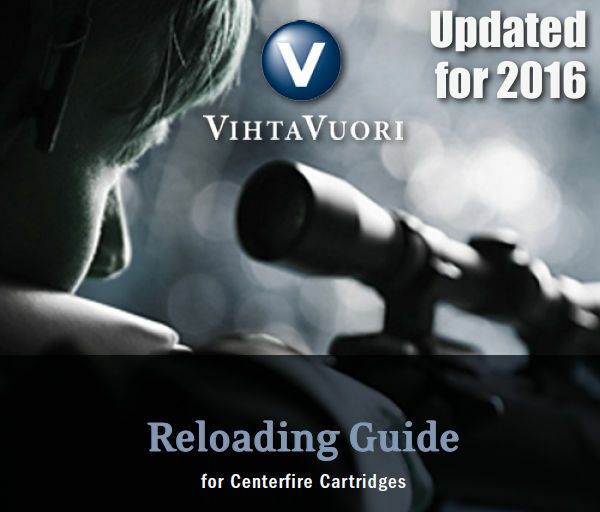 Vihtavuori has updated and enhanced its reloading information, adding VV powder load recipes for many more cartridge types. Data is now online for 64 rifle cartridge types and 26 pistol cartridge types. 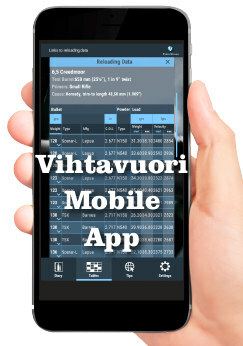 You’ll find the updated reloading data on the Vihtavuori Website. 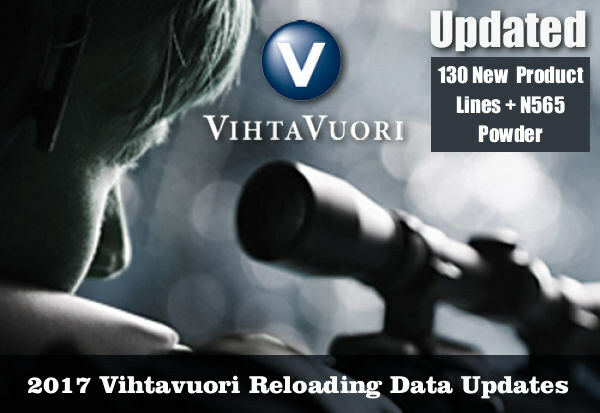 Bookmark this link: www.vihtavuori.com/en/reloading-data/about-reloading.html. The updated online information supplements the Vihtavuori Reloading Guide (2016 Edition) available in PDF format. The online Reloading Database has dedicated sections for Rifle Cartridges, Pistol Cartridges, and Cowboy Action. There is also a handy, FREE Reload Mobile App for iOS and Android. Share the post "Vihtavuori Powders Loading Information Online"
If you need rimfire ammunition, Powder Valley Inc. (PVI) just received a large shipment of SK .22 LR ammunition from Europe. This is good quality, German-made ammo, much better than the bulk-pack Federal and Winchester fodder. 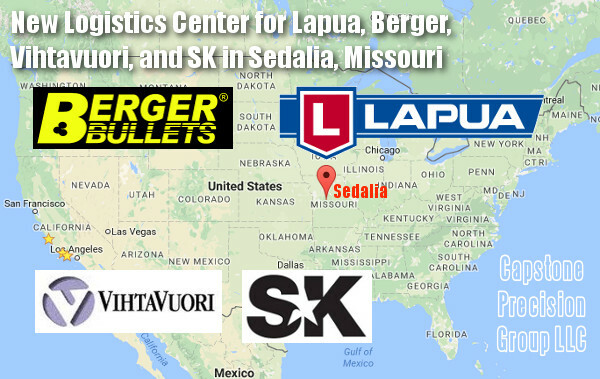 SK is run by the same parent company that owns Lapua. Right now the practice-grade 40gr .22LR SK Standard ammo is $5.50 per box of 50 cartridges, while the rifle Match grade ammo is $8.40 per box. Act quickly ladies and gents. This will probably sell out pretty quickly. To find this on the PVI site, click “Ammo” then “Rifle Ammo” then “Lapua”. Share the post "SK .22 LR Rimfire Ammunition Available at Powder Valley Now"
Every year we anxiously await the new product announcement from Lapua. In 2014, Lapua brought out new bullets and new cartridge brass — .221 Fireball and .50 BMG. For 2015, Lapua once again brings out new brass offerings, this time three new flavors of cartridge brass, all made to Lapua’s exacting standards. 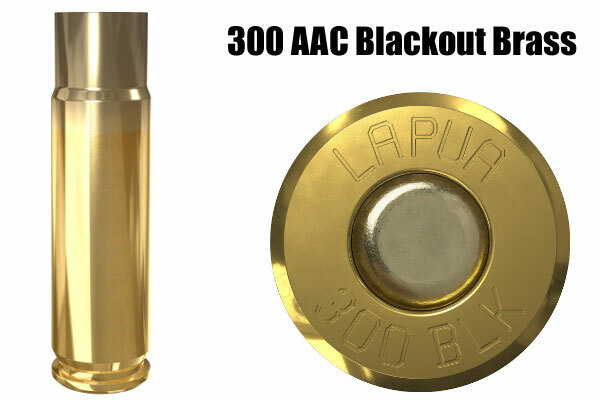 First, Lapua will introduce factory 300 AAC Blackout (300 BLK) brass. This promises to take this highly-efficient, AR-friendly .30-caliber cartridge to another accuracy level. 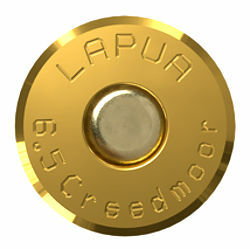 Second, Lapua will offer premium brass for the 7mm-08 cartridge, a very popular round among hunters and silhouette shooters. Lastly, in 2015, Lapua will produce 8x57mm JS brass. That’s good news for fans of this classic Mauser cartridge. Lapua notes that it’s new 7mm-08 brass is made to very high standards, benefiting hunters as well as competitors: “The 7mm-08 came to dominate the High Power Silhouette rifle game shortly after its introduction, offering a superb combination of power, light recoil and accuracy. Since then, it has also been used to win National Championships in High Power competition, and become a staple for hunters as well. With ballistic performance exceeding that of the time honored 7x57mm Mauser, but suited to a shorter action, the 7mm-08 is an ideal cartridge for most big game hunting. Lapua brings… state-of-the-art manufacturing methods, combined with old world craftsmanship, to the production of these cases. Primer pockets and flash holes are held to strict tolerances to withstand repeated firings and reloadings. 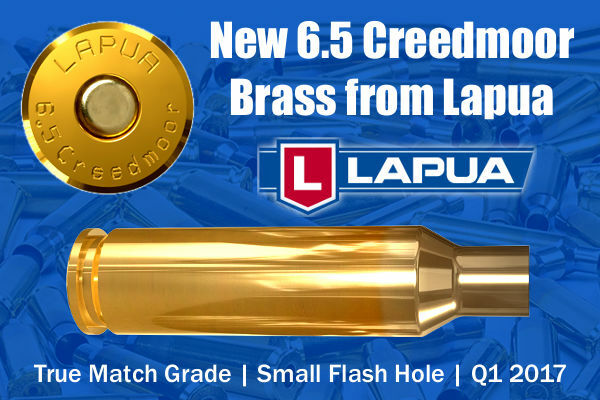 After final necking of the case, they are finished with the proper anneal [for] accuracy and durability.” Lapua also notes that it offers two new 7mm Scenar bullets, which will work very well in the new 7mm-08 cartridge brass. 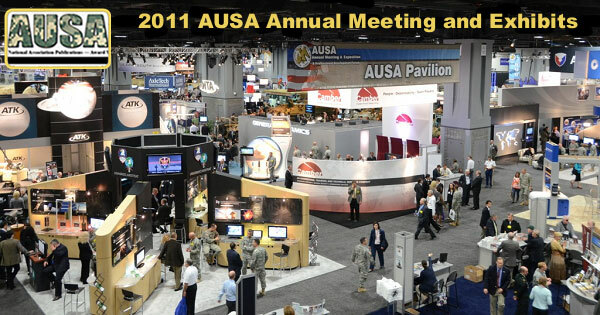 If you plan to attend SHOT Show in Las Vegas, stop by and visit the Lapua Exhibit (booth #11929). With luck, samples of the new 7mm-08, 300 BLK, and 8×57 JS brass will be available to view. Lapua engineers will be on hand to talk about Lapua brass and bullets, and explain the production processes that make Lapua brass so durable and consistent. 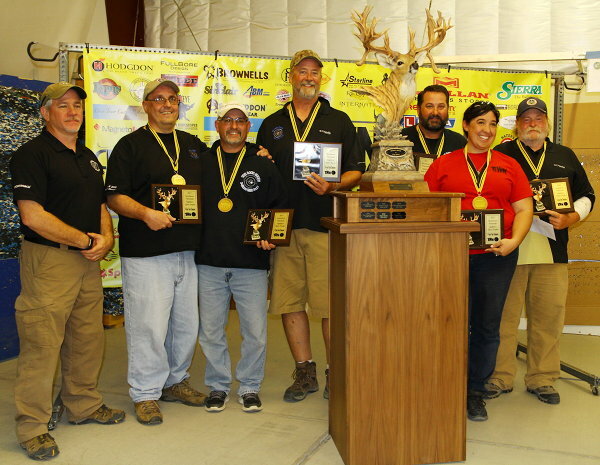 In recent years, in the world of centerfire competition, Lapua brass has absolutely dominated the winner’s circles as well as the record-books. Share the post "New Lapua Brass for 2015: 300 BLK, 7mm-08, 8x57mm JS"
It’s official. Representatives of Lapua announced at SHOT Show 2014 that Nammo has purchased Vihtavuori, acquiring the “VV” line of propellants, and, most importantly, taking over Vihtavuori’s powder production facility in Vihtavuori, Finland. This means that Vihtavuori is now officially under the Nammo umbrella as is Lapua, producer of brass, bullets, and loaded ammunition. Lapua engineer Tommi Tuuri has visited the Vihtavuori plant in person. Tommi says all operations are going well and the plant is running at normal capacity (but Nammo does plan some upgrades in the months ahead). 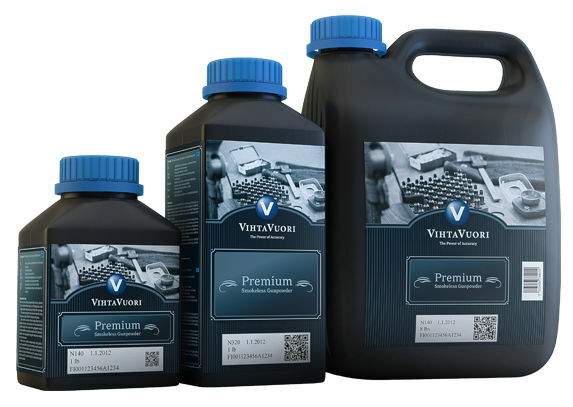 Vihtavuori powders will continue to be imported into the United States as before and the powders will be made available through existing distribution channels. The Vihtavuori Powder factory is located in Vihtavuori, Finland. Click marker to zoom. 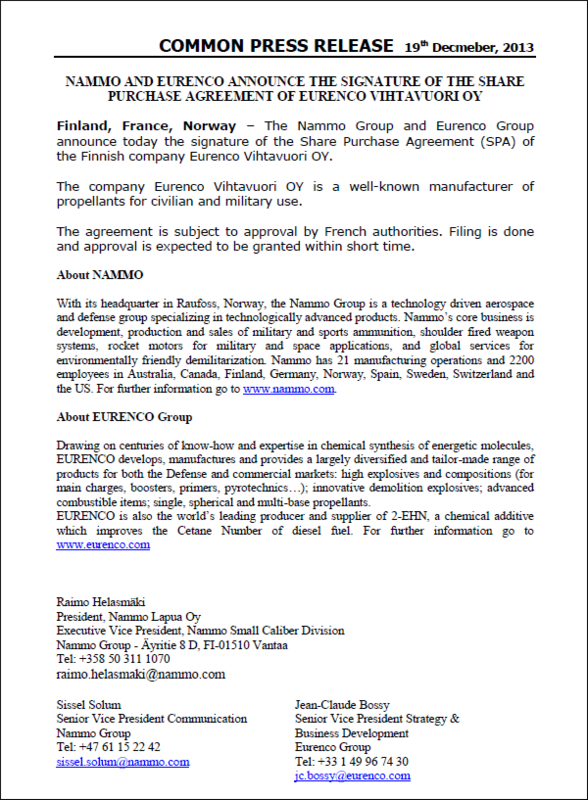 Share the post "Nammo Announces Acquisition of Vihtavuori"
Breaking News: Just hours ago the Nammo Group announced that it has acquired the Finnish company Eurenco Vihtavuori OY, which produces Vihtavuori powders. This deal was finalized through the signing of a Share Purchase Agreement today, December 19, 2013. The official press release adds that: “The agreement is subject to approval by French authorities. Filing is done and approval is expected to be granted within short time.” CLICK HERE to read Nammo/Eurenco Press Release PDF. Share the post "Nammo Buys Vihtavuori Plant from Eurenco — It’s Official"
To ensure the increasing demand of Lapua ammunition and Vihtavuori powder in the USA market is met with sufficient supply, Nammo Lapua Oy has made changes to its distribution network. Effective Jan 1, 2013, Lapua centerfire ammunition and components, as well as Lapua and SK brand rimfire ammunition, will be distributed by Graf & Sons of Mexico, Missouri; Sport Shooting International (SSI) of Anaheim, California; and Crow Shooting Supplies of Brooklyn, Iowa. VihtaVuori smokeless powder products will continue to be imported and distributed by the Hodgdon Powder Company of Shawnee Mission, Kansas. Share the post "Nammo Lapua OY Announces Distributor Changes"
The impressive new Lapua Rimfire Service Center opens in Mesa, Arizona on April 24, 2012. Patterned after the world-renowned Lapua Service Center in Schönebeck, Germany, this facility gives American shooters the same opportunity to test various types and lots of rimfire ammunition, in their own firearms, under ideal conditions. 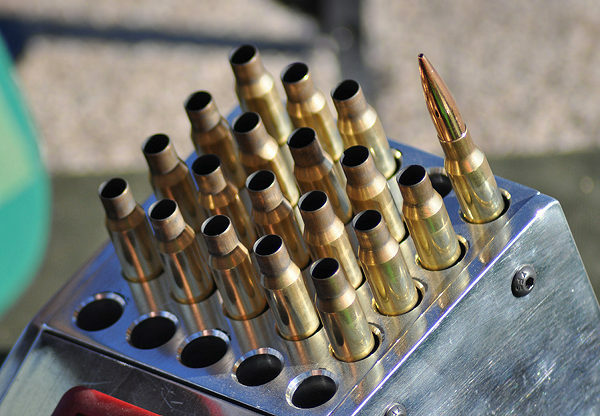 This assures that customers can purchase not only the best type of ammunition for his or her particular rifle, but also the specific lots of ammo that perform best. Experienced competitive rimfire shooters know that the ability to select a particular lot of ammunition that performs best in their firearm(s) means a world of difference in a match. At the heart of Lapua’s operation is a new 100m test tunnel. Fully instrumented with state-of-the-art Meyton electronic targeting systems, the Mesa facility offers the unique ability to test ammunition at both 50 meters and 100 meters, simultaneously with a single string. As the bullets pass through the screen at 50 meters, a group will appear on the first targeting screen. As the bullet continues its flight downrange, it will also be picked up on a second screen at the 100 meter line. This approach allows the shooter to see, instantly, which ammunition performs best at both 50m and 100m distances. Shooters are encouraged to visit the new Rimfire Service Center. Testing is by appointment only, with a $50.00 range fee. 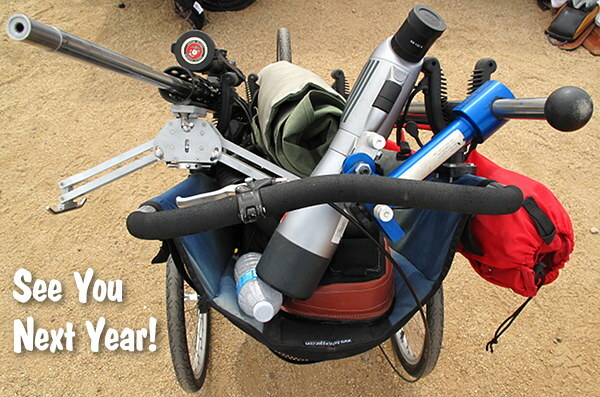 For more information, visit www.Lapua.com or email lapua [at] nammoinc.com. The Lapua Rimfire Service Center is located at 4051 N. Higley Road, Mesa, AZ 85215, on the grounds of Nammo Tactical Ammunition. 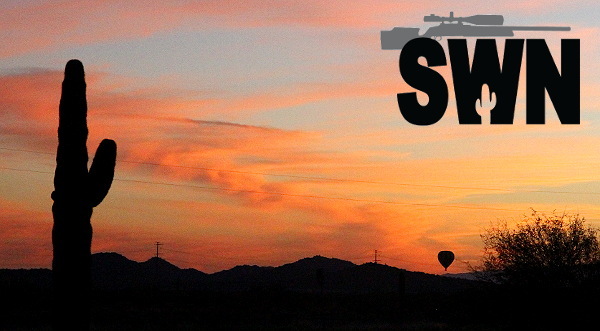 The Lapua Service Center, just 20 miles from Phoenix Sky Harbor Int’l Airport, is easy to reach by major roadways. 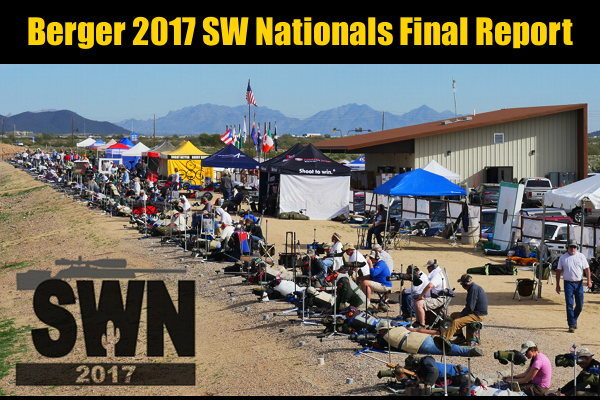 Not far away, in the general Phoenix area, you’ll find a wide variety of hotels, restaurants, golf courses, plus the outstanding Ben Avery Shooting Range. 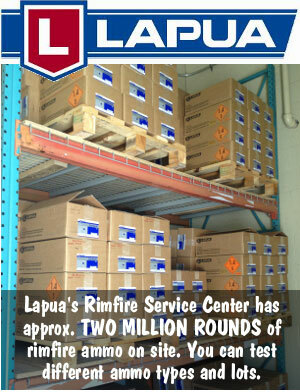 Share the post "Lapua Opens Rimfire Service Center in Mesa, AZ on April 24, 2012"
NRA Headquarters in Fairfax, Virginia was recently visited by Raimo Helasmaki of the Nammo Group. Based in Finland, Nammo is the parent company of Lapua, manufacturer of ammunition and reloading components. 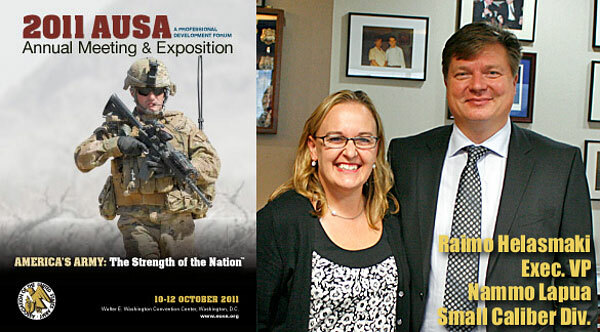 Helasmaki, Executive VP of Nammo’s Small Caliber Division, was in the Washington, DC area for the annual Association of the U.S. Army (AUSA) trade show. 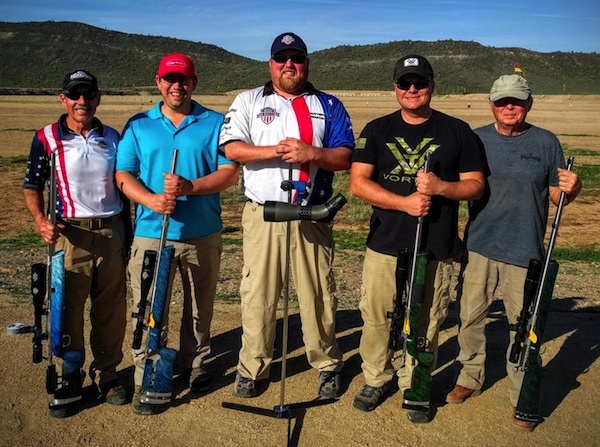 We’re glad to see a top European executive travel to the USA where he can get direct feedback from American shooters on his company’s product line. 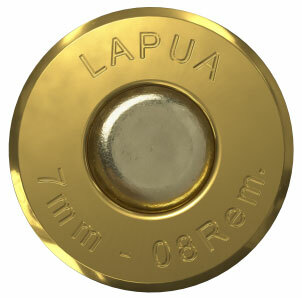 Lapua was founded in 1923 as a state-owned cartridge company. 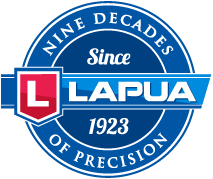 Over the years, Lapua kept perfecting its product in response to the needs of its worldwide customer base. Lapua remains an industry leader, creating some of the most accurate ammunition, brass, and bullets on the planet. Proof is in the performance — 80% of the Biathlon medals at the 2010 Winter Olympic in Munich were won by athletes using Lapua ammunition. Helasmaki met with several NRA officials in Fairfax, including NRA’s General Operation Executive Director Kayne Robinson. To wrap things up, he toured the National Firearms Museum, guided by Phil Schreier, Senior Museum curator (at left in photo above). 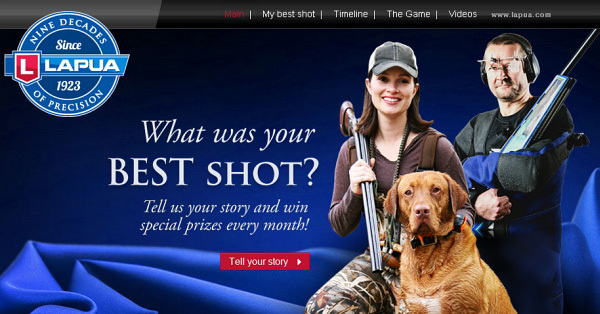 Photos and story courtesy The NRA Blog. Share the post "Nammo-Lapua Exec Visits NRA Headquarters and AUSA Show"
The new, 9th Edition of the Vihtavuori Reloading Guide has been released. The complete Reloading Guide can be downloaded for FREE as a PDF (Adobe Acrobat) file. The rifle reloading data has been expanded and revised with more powder selections for existing bullets. The load data for .243 Winchester has been revised extensively, and there is new caliber data for 6mm Remington, 6.5×55 Swedish and 6.5×55 SKAN. Load info for the .260 Remington, 6.5×55 Swedish, 30-06, and 45/70 has also been expanded in the 9th Edition of the VV Reloading Guide. CLICK HERE for FREE Download of Vihtavuori 9th Ed. Reloading Guide PDF. Error Correction: In the hard-copy, USA-printed version of the 9th Ed. Vihtavuori Reloading Guide, there is an error on page 25 concerning modern 6.5×55 loads. The data is correct in the PDF version of the Reloading Guide (linked above). CLICK HERE to download print version correction. 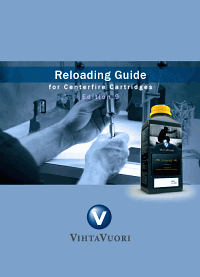 Share the post "New 9th Edition of Vihtavuori Reloading Guide is Now Available"